A single 0.40ct round brilliant cut diamond is part rub over set in platinum. The shoulders sweep up in an almost triangular shape to hold the diamond securely in place. 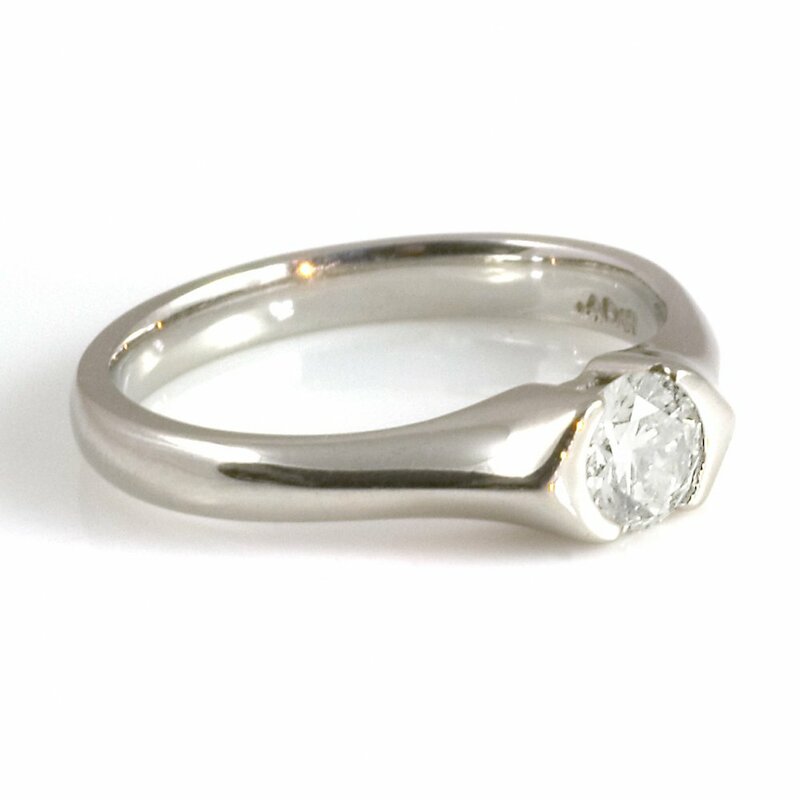 The platinum is plain polished to create a simple, sophisticated look. Just perfect for any woman.